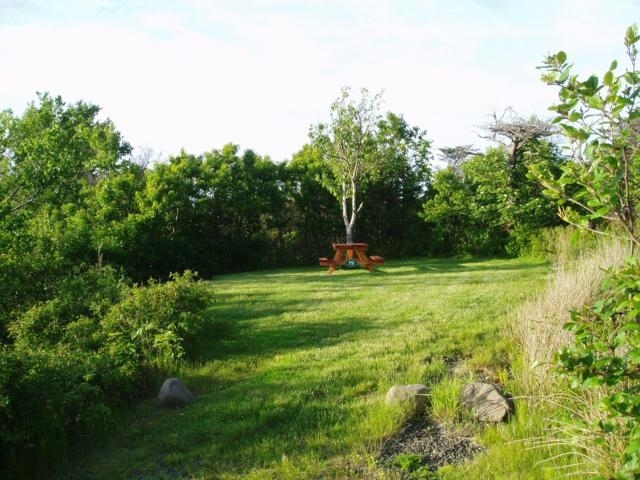 Site #79 is a grassy, unserviced tent site of modest size, elevated above the Oceanfront sites with a beautiful westward view of the Bay of Fundy. 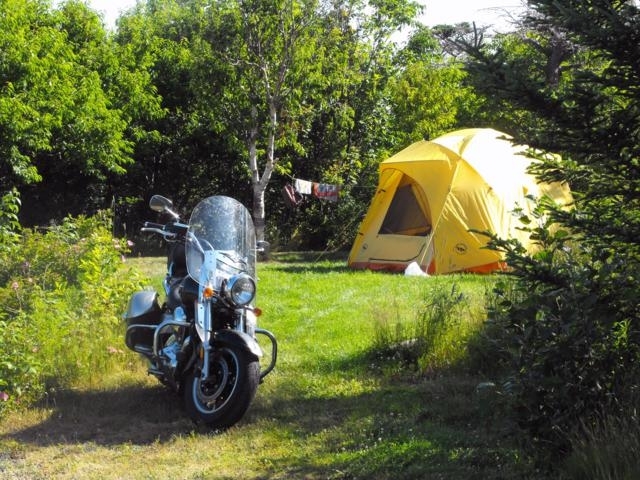 Protected with woods on three sides, it offers good privacy and will accommodate one small to medium size tent. 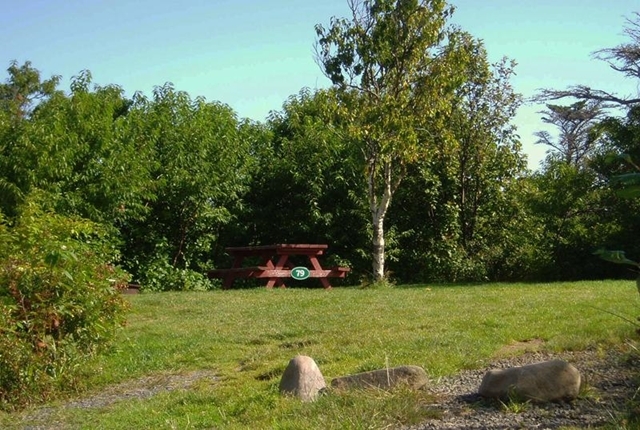 The site is equipped with a picnic table and fire ring, and is just a few steps from the common path to the shore as well as drinking water taps and portable toilets.